Administrative Staff are Messrs A.E. Odedele and O.O. 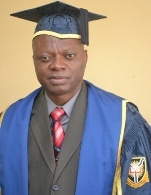 Afolabi who are Assistant Registrars in the Offices of the Deputy Vice-Chancellor (Administration) and Deputy Vice-Chancellor (Academic) respectively.